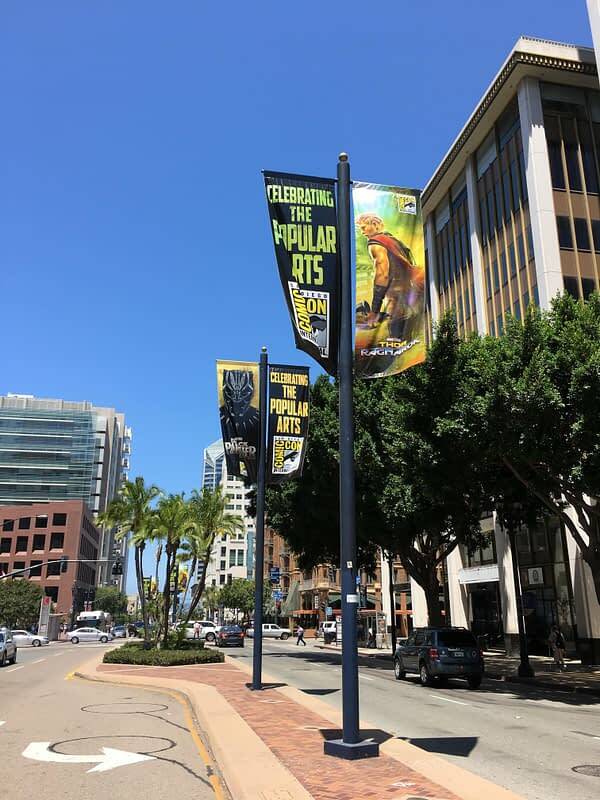 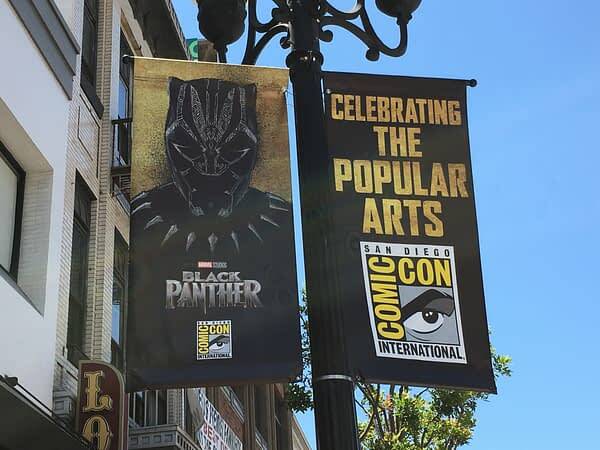 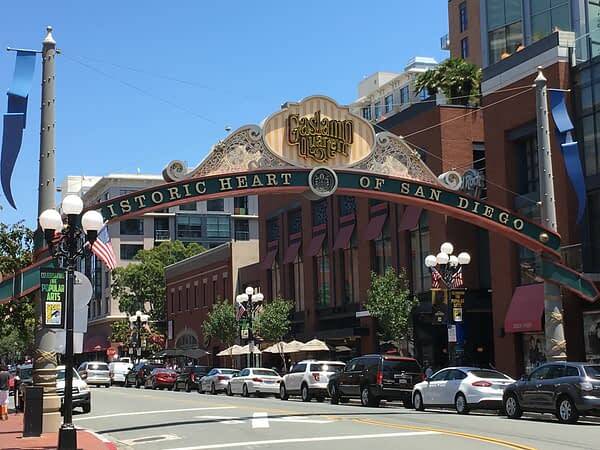 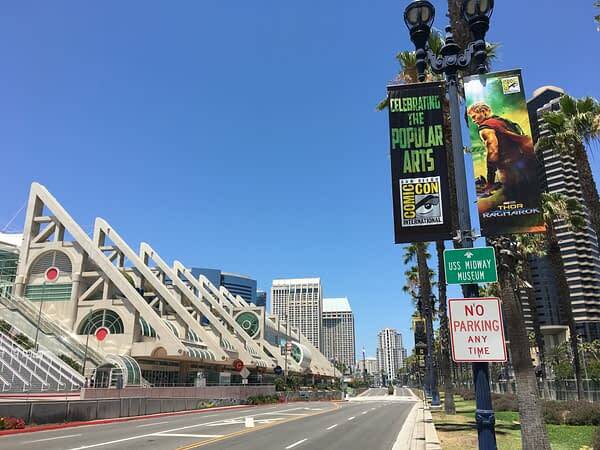 We are now just two weeks away from Comic Con week here in San Diego, and banners are up all over the city in preparation. 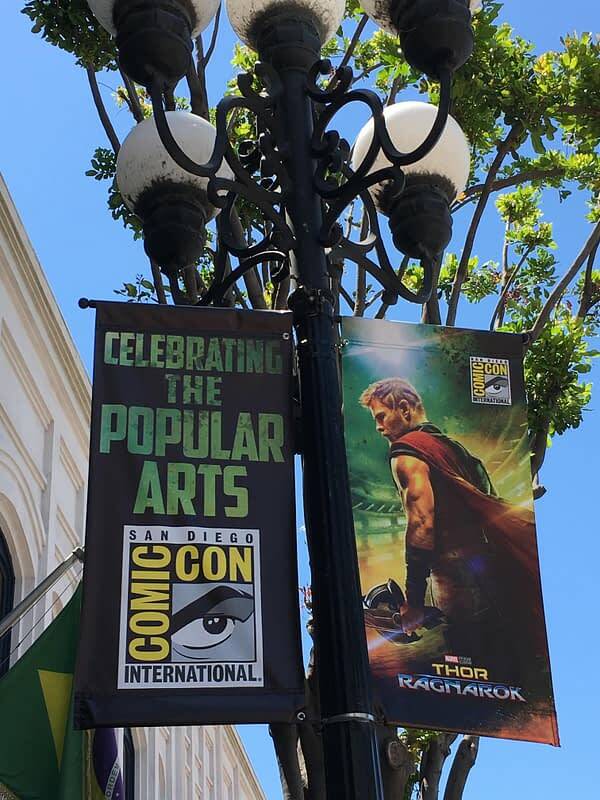 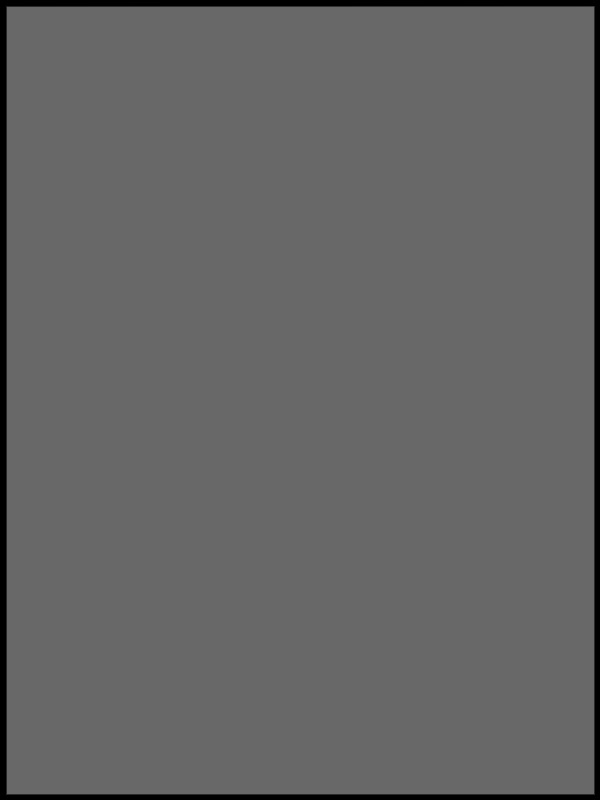 This is Dane in Downtown, keeping you up to date as the biggest annual event in comics and popular culture fast approaches. 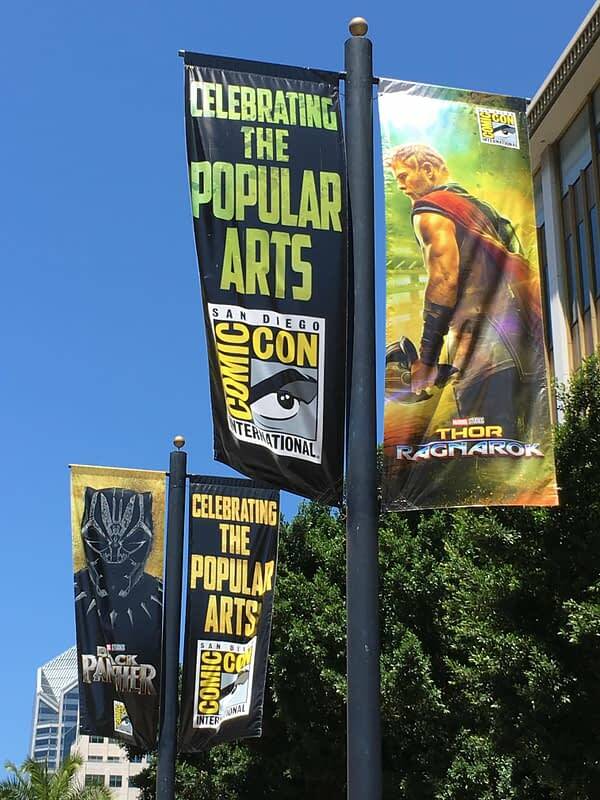 And for 2017 it’s all about Thor and Black Panther.